The stage is set for the 2014 FIFA World Cupand all eyes are on Brazil. Everyone seems to be looking for a piece of the action. What better way to participate than to playone of the best football themed games for Android. You can get in on exciting sport’s betting at Betsafe games, or play video matches of your own. The five football-themed games below bring the games home. 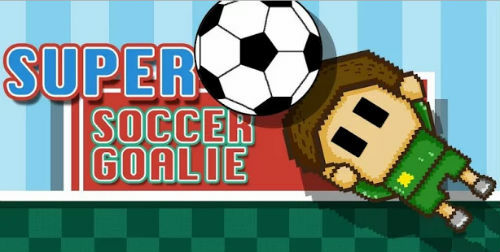 Be the next Super Soccer Goalie! Experience the thrills of becoming a world-class football goalie! Designed to bring out the best of the keeper in you, a simple slide of the finger keeps you in the middle of the action. Protect the goal from an onslaught of incoming balls. 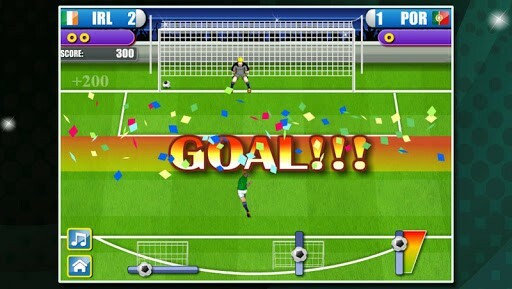 This Android app shoots the football while you control the miniature goalie on your screen. Remember perfection comes with practice. It’s simple to control and the animation is realistic and invigorating. 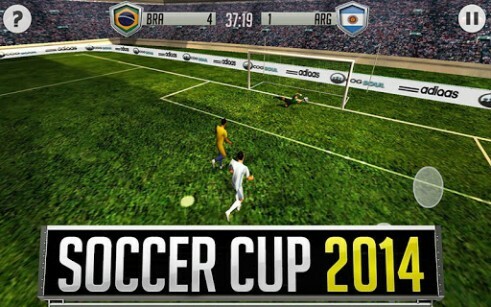 There are so many football themed games available online, and Soccer Cup 2014 isone of the most extreme and addictive. Become a part of the action and experience every move as though you’re right there on the field. Pass, shoot and tackle with simple manipulations of the controls. Soccer Cup is the right game at the right time. Realistic dribbles, shots, and goals, you’ll be caught up in the action from the moment you kick-off. Select from any one of the 32 teams and see your players go all the way through to win the tournament. Penalty Cup 2014 puts you smack in the middle of the action. Football fans agree this is one of the best games of the year. Experience penalty shootouts with a simple finger slide. Become the next football sensation, live the passion on the field, and take your game to the heights of the 2014 football experience. Just choose the intensity level, the angle, and the height for your best shot. 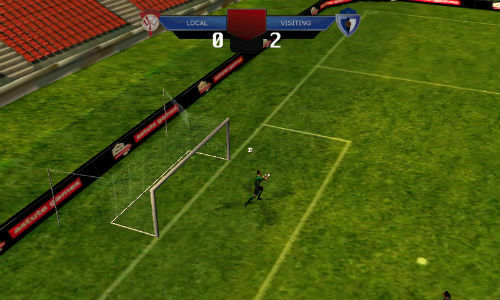 Premier Football Games Cup 3D is a wonderful way to experience football on Android. From the first centre-field kick-off until you’ve scored that first goal, this game has it all. Lifelike, fast-paced action; carry on through the games until your team has made its way to win the world cup! Premier football allows you to master stage of the game. 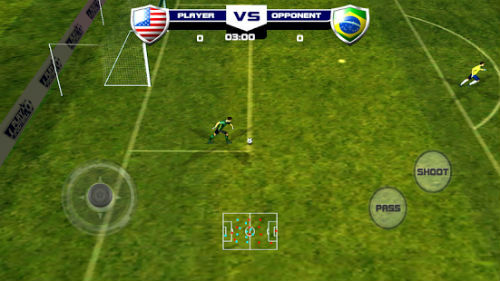 The Real Football 2014 Soccer Game provides bracing action, fantastic simulated play, game management, in a comprehensive Android soccer game. The game comes complete with a set of intensemoves. Take time to build your dream team’s offensive and defensive strategies using the updated easy-touch controls. Run, pass, and score touchdowns with super sensitive touch controls, and take your team all the way to the final WIN. Compete with the best teams in the world. Enjoy the games as they’ve never been played before. Take charge, control the field, defend your goal and become a part of World Cup history!